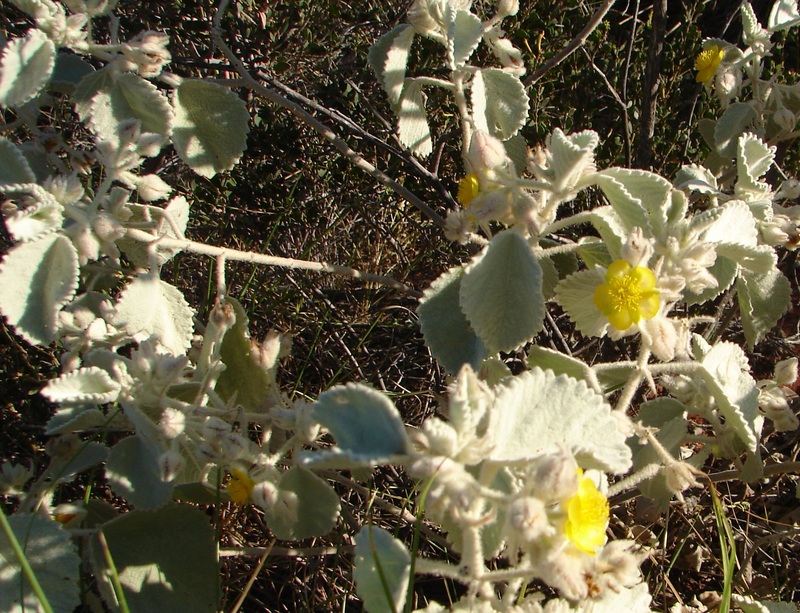 Several different species of Corchorus are found in the Pilbara and Kimberley, many which are weedy and small. 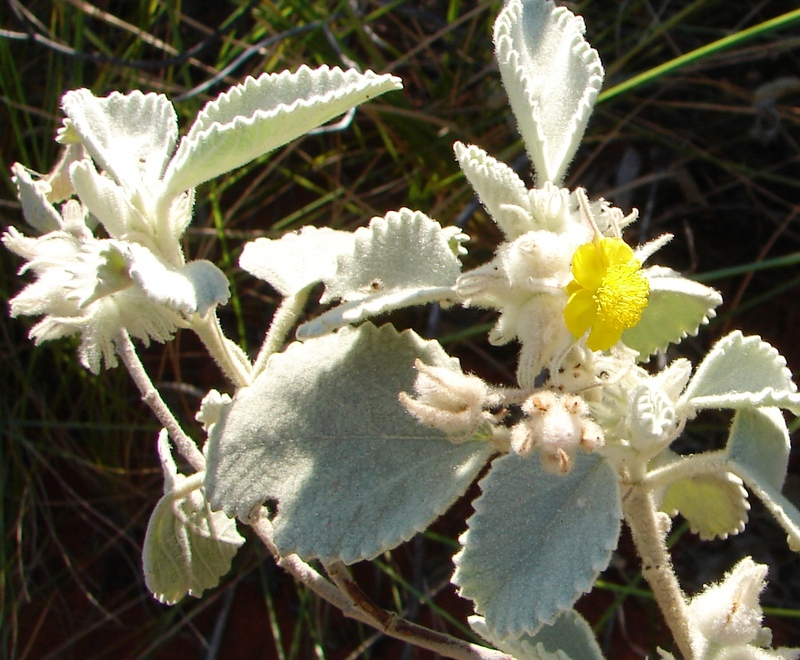 This one grows to about 1 metre and is found on Dampier Downs and south to the Pilbara. 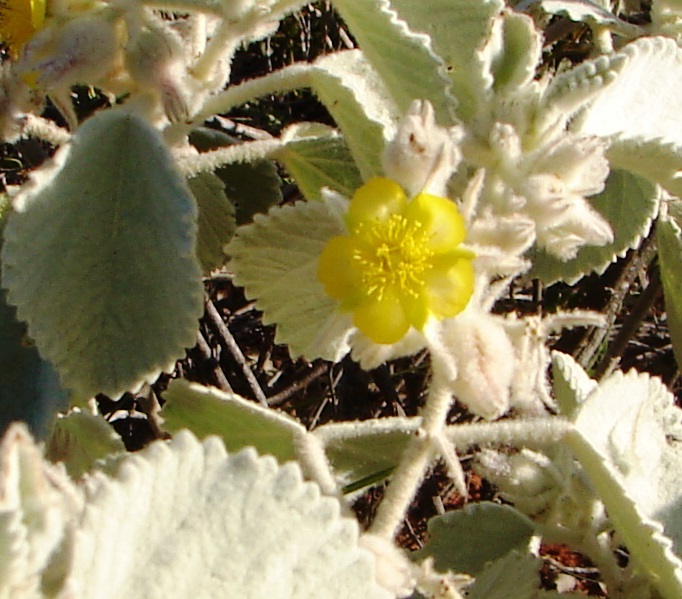 Woolly leaves and bright yellow flowers are featured. Corchorus is grown overseas to make jute. This entry was posted in Corchorus and tagged Corchorus laniflorus. Bookmark the permalink.